Fazzio Interiors. 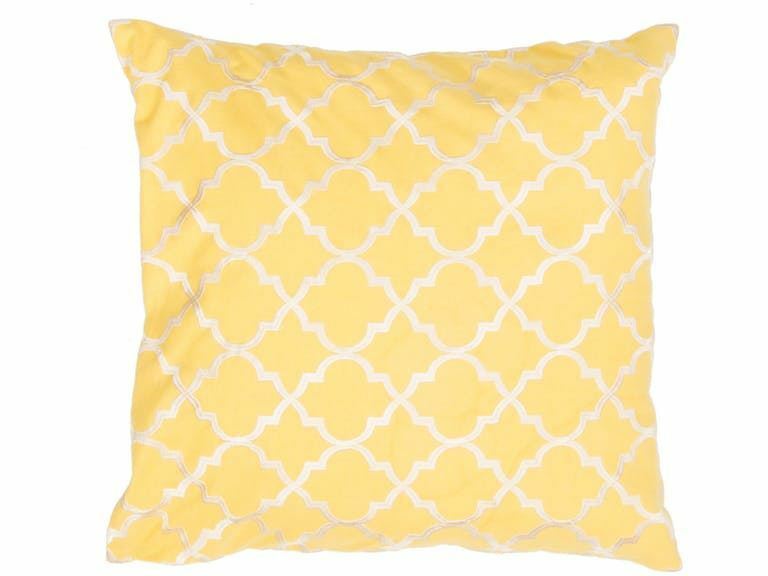 Moroccan Yellow/Gold Pillow 20"x20"
This is a cotton based pillow embroidered with geometric designs. Add to a bed or side chair for a great accent.